I use Overnight Prints for my promos. Eventually I’ll use a fancy printer, but for now they’re really good. Then I make custom notes for all my clients and potential clients. Trying to be as personal as possible. My handwriting isn’t the best, so I like to print all my cards on nice card stock from Paper Source and sign everything. It makes for a really neat and personal presentation. I designed and set the images myself. Part of my schooling at SVA was graphic design and I love using the skill set in my photography every day. I did. But with ice cream you have to be quick, so not that many pictures were generated. We used 3 bars and about 25 images were created. The print runs on my promos are 250. I send hard promos out every 3 to 6 months, then emails out every 45 days. I’m finding that the food theme works really well. Because it’s a visceral connection. Who was the food stylist? I was actually the food stylist. I really like putting it together and do all my basic food styling myself. 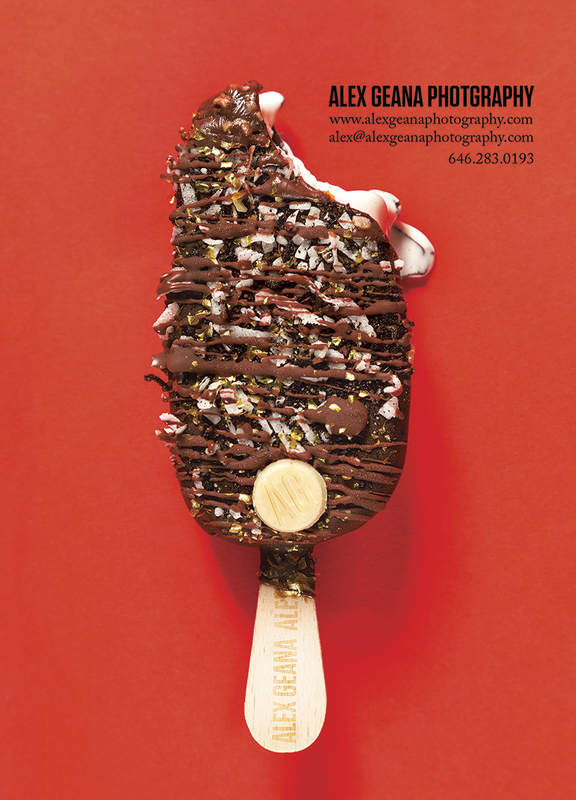 Although I do have great food stylists I work with, when it comes to a promo; I don’t really have a production budget. Did you shoot specifically for promos? Yes, I shoot specially for promos, so I have a ton of freedom and do things totally in my wheelhouse, when it comes to styling. 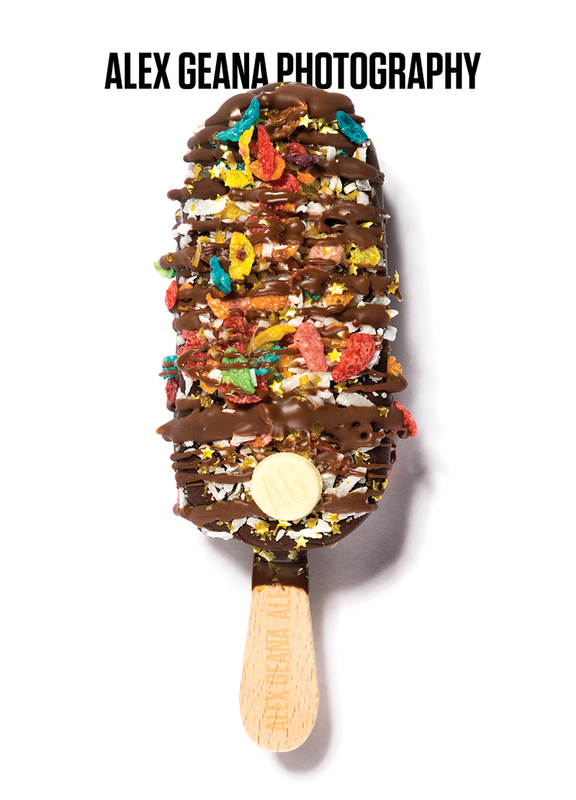 This is basically a raw chocolate bar from a bougie chocolate shop in SoHo with chocolate drizzle and fruity pebbles, then gold flexes for color. I used 3 bars and got 25 images. I needed 3 bars, because the bite and the drizzle kept on melting. Then if you swap out backgrounds, you get a mess. So if you look carefully, the bar on the red, had the best bite, but the bar on the white background had the best styling as a bar. So I just used both pictures from each set. One for the front, one for the back. I think I’m going to work with donuts next, because the response from this promo was amazing.